Please know that we are almost done with the wacky winter schedule and will be back to normal in a few weeks. The holidays, semester break and swim meets have made for a lean last couple months of polo, but rest assured we will be back in full swing starting next week. Let's make an effort to get a good crowd on Thursday in celebration of a full 2 hour practice as CSU. Collection of annual dues will be due on January 31st. Pay now by following the link here. March 12th-13th, 616 East Kentwood Tournament - Tell us if you'd like to go! Jenison High School (located outside of Grand Rapids, MI) is hosting a day long 5-on-5 benefit tournament for a local high school water polo player. The tournament will be held on Sunday, Feb 28th. Anyone interested in attending please contact trish for more information. This tournament is being participated in independently from the club, but is a good opportunity for anyone looking for some fun polo and a good cause. 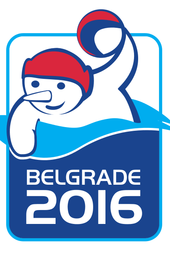 Currently the European Water Polo Championships are going on in Belgrade. For those interested in watching a few games there are lots of great live streams available. Check out one here! Find best transportation company in gurugram at Dealkare. If you are looking for Software Development Company in Lucknow , then ITSWS technologies is the best company which provides software development, website designing, web templates designing services at cheap price.